I just built my first systen in nearly 20 years. I need a backup system. And so far, despite the fact that I have both a Blu-ray and DVD burners in this box, Windows 8.1 does not appear to be willing to let me just burn a (series of) full system backup disk(s) once a week that I can take anywhere I want. The trouble with CrashPlan, or any of the other remote storage solutions, is that for larger backups you're severely limited by the physics of data transfer. For instance at any given moment we have 1.5-2TB of active business files on our main volume, and depending on the day, at least 15GB to be backed up nightly. However sometimes we have 100-200GB in the nightly backup. It would take an eternity to upload our initial backup and an only slightly lesser eternity to download it again in case of total loss. When there's one of the big backups to be made it probably could not be completed in one night, even though we have a reasonably fast 50/10 Gbs (nominal) connection. Instead we have multiple redundant backups, and regularly rotate them through off-site storage. Generally agreed. AWS has an option to do initial data import by shipping a box of hard drives. Any full system image or enterprise level cloud backup system needs to offer physical media import/export options. If your business's daily new data volume is high enough you can still swamp nightly updates; but disk based options would really extend the level of users who could effectively make use of such services. Deduplication and compression here would help out but how much is entirely dependent on your data. 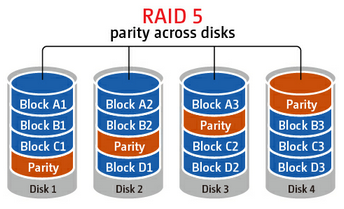 As Kevin G said, deduplication would make that fairly easy.